For a nothing less than incredibly stylish look, dress in a Peter Millar flynn classic fit solid wool suit and a white dress shirt. 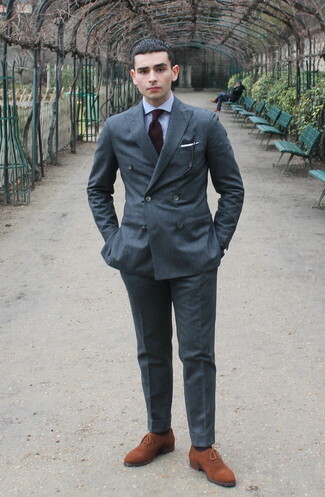 Throw in a pair of brown leather derby shoes to make the look more current. 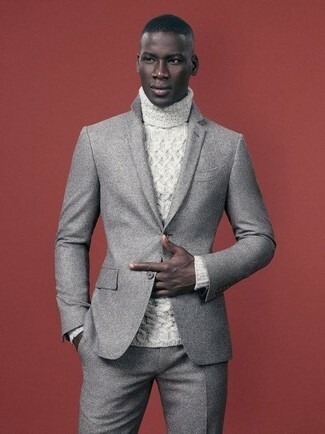 Try teaming a Peter Millar flynn classic fit solid wool suit from Nordstrom with a white knit turtleneck like a true gent. 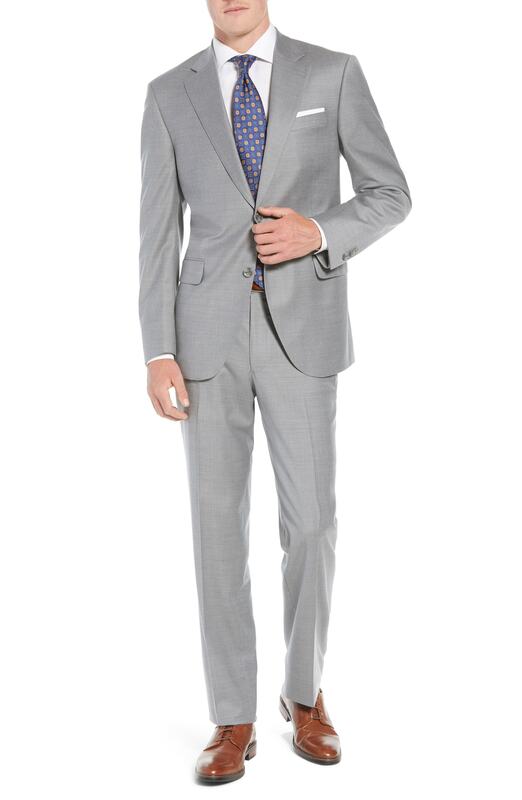 Marry a Peter Millar flynn classic fit solid wool suit with a navy overcoat for a sharp, fashionable look. For something more on the daring side to complete this getup, grab a pair of dark brown leather casual boots. Make a Peter Millar flynn classic fit solid wool suit and a grey paisley dress shirt your outfit choice for incredibly stylish attire. For a nothing less than incredibly stylish getup, consider pairing a Peter Millar flynn classic fit solid wool suit with a navy cardigan. A Peter Millar flynn classic fit solid wool suit and a blue gingham long sleeve shirt will showcase your sartorial self. Break up your getup with more casual shoes, such as this pair of brown leather brogues. For a nothing less than incredibly stylish outfit, team a Peter Millar flynn classic fit solid wool suit with a grey check dress shirt. Break up your ensemble with more casual footwear, such as this pair of grey suede loafers. A Peter Millar flynn classic fit solid wool suit from Nordstrom and a white and blue gingham dress shirt will showcase your sartorial self. Throw in a pair of tobacco suede brogues to have some fun with things. 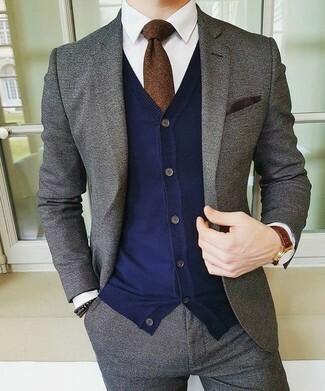 For a nothing less than incredibly stylish look, pair a Peter Millar flynn classic fit solid wool suit with a grey plaid overcoat. 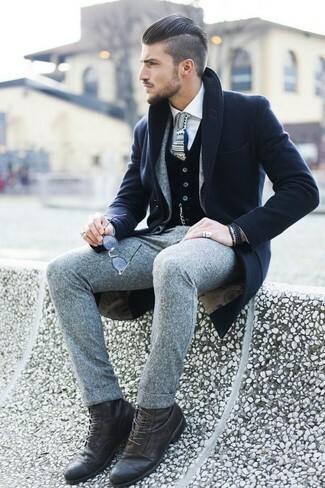 For something more on the daring side to round off this look, opt for a pair of dark green leather double monks.